Stopped on our way back to Hamilton from Tobacco Bay on Sunday. Like it so much we drove back Monday after the beach, too. So worth the drive! They've got all your standard flavors, but try the more exotic ones like Rum and Ginger, Bermuda Banana, Orange-Pineapple, or Butterscotch Crunch. No lines when we visited. A mix of locals and in-the-know tourists. A few tables outside to sit and watch the traffic go by on the road. 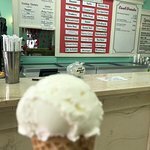 The ice cream is expensive, but everyone likes it, locals and tourists alike. 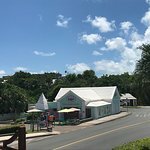 Right across the street from Swizzle Inn. They also have snacks if you want something with your ice cream. Last year, it closed during the winter months. If it's open, take advantage! 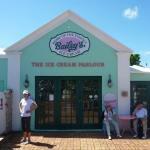 Bailey's ice cream is a Bermuda instituition, available across the island. 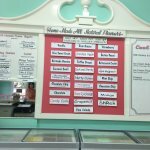 But the main shop is the only place to get some of their special flavors. 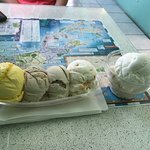 I had the rum and ginger, which may have been one of the best ice creams I've ever had. If you've been visiting the caves it's right around the corner (according to our guide Fantasy Cave runs right underneath it), but it's worth a trip from wherever you are. 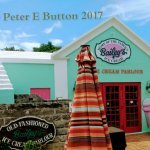 Been to Bailey's Ice Cream? Share your experiences!